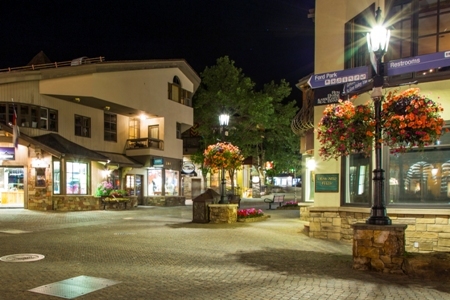 Global Tech LED continues to raise the bar with revolutionary LED products and is proud to announce that 735 of its revolutionary LED Retrofit Kits were recently installed by the City of Vail Colorado. “Power consumption was reduced by an average of 70%, and 4,000K color Lumiled “T’ LED’s were incorporated into the Kits, thereby delivering a much higher quality of light over the existing sodium lamps”, said Carrie Harte of Ecosource Lighting, a local Colorado distributor for Global Tech LED. "Not all LED products are created equal, and our LED Retrofit Kits outpace and outperform any competitor on the market today, demonstrating the quality commitment driving our innovation”, said Jeffrey Newman, President of Global Tech LED. Moving consumers away from inferior, inefficient imports is our goal, and we do so by extending our leadership in LED innovation and creation of products that transform the marketplace, while providing customers who demand high-quality lighting with our USA made products. Our family of product include LED Fixtures and Retrofit Kits, Turtle Lights, Horticulture Lights, Aquarium, and many more. Please refer to www.globaltechled.com for additional product and company information.